Image | This entry was posted in Bad Headlines, snark. Bookmark the permalink. 5 Responses to Bad Headlines, Cont. So that means they’ll rename it “n***er stadium”? 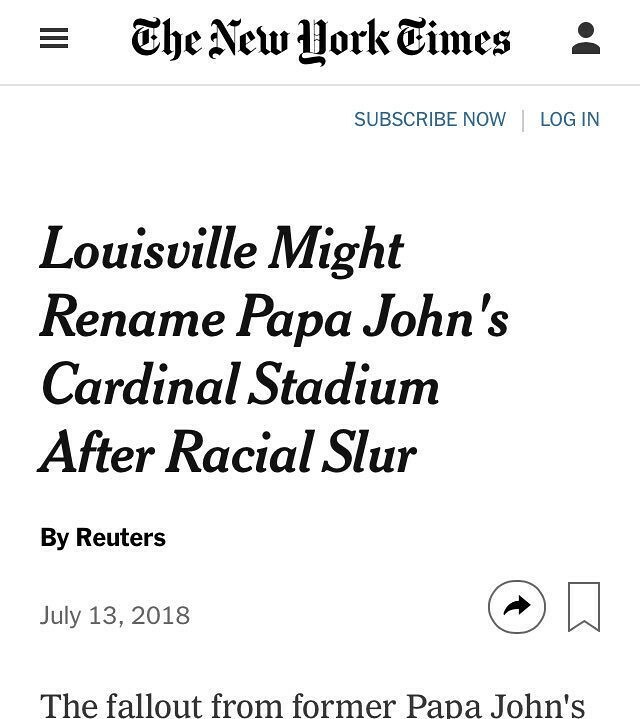 Is that the racial slur they’ll name it after? Rename it CLANG and call it a day. “There is no escape from Stalag”………oh, wait, wrong movie. Since “John” is a widely accepted slang for toilet, I suggest they keep the name.